One of the best things about Spring is the Spring Racing Carnival, whether it’s Derby Day or Stradbroke Day, one thing Spring race days all have in common is wonderful race theming and fabulous Spring floral styling. 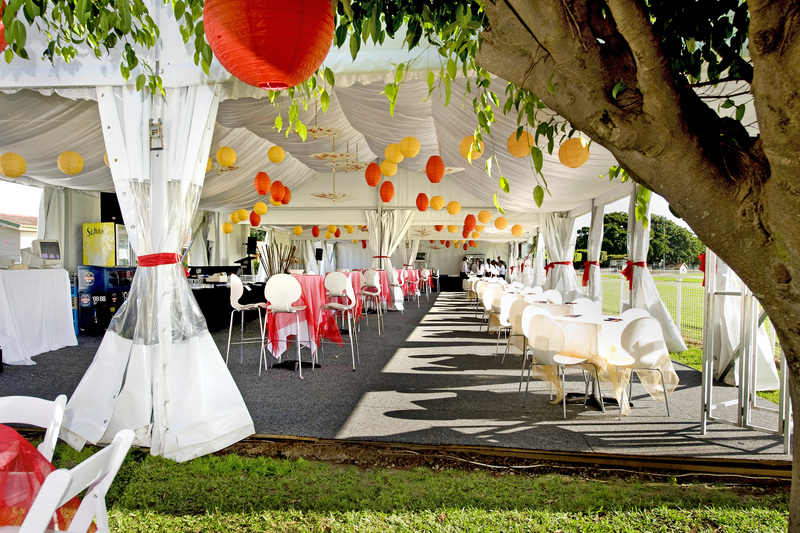 So dust off those fascinators, pop the champagne and race in, to start your marquee theming for the Spring Racing Carnival. For glamourous racing themed table decor we have silver horseshoe centrepieces which can be decorated with a flourish of spring flora or foliage to match your colour scheme. These can also be accentuated, sitting atop a mirror disk and look spectacular amongst the black and white theming of Derby Day. For an organic look to make your guests feel like they’re right next to the track, a marquee set up on exposed grass is ideal, or to stop the ladies from sinking in their heels and keep the authentic grass feel we hire out rolls of astro turf. Enhance a marquee with striped overhead draping and beaded chandeliers interwoven with ivy strands, hanging above simple white or wicker furniture with floral and crystal obelisk centerpieces! For a happy and colourful garden party feel, hang an abundance of paper lanterns and umbrellas from the marquee ceiling. This look can brighten up any marquee and truly enhance the spring feeling. Tables should feature translucent overlays of the same colour to intensify the colour scheme and be topped with simple centrepieces or flora! 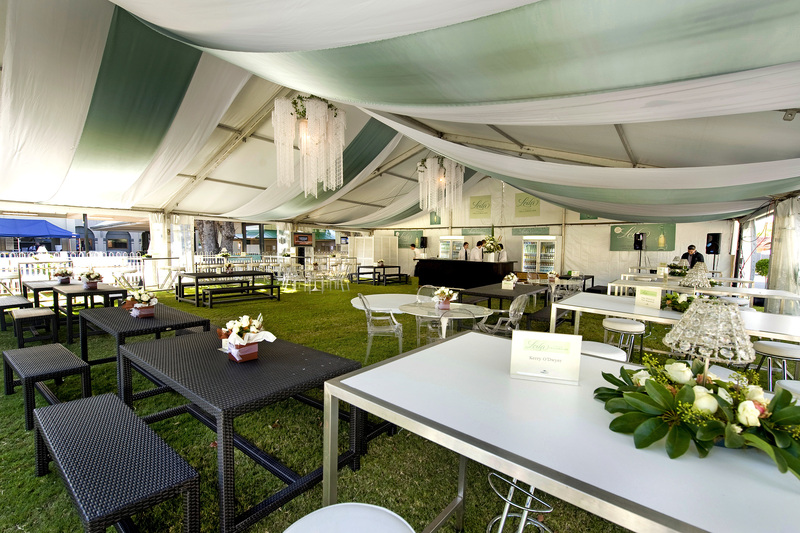 To start theming your Spring Racing Carnival Marquee or Spring Racing Event please give us a call on: 3555 8660 or drop into our showroom on the corner of Vulture St and Leopard St, Woolloongabba.